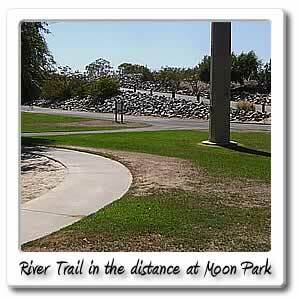 Welcome to Moon Park on the Santa Ana River bicycle trail. 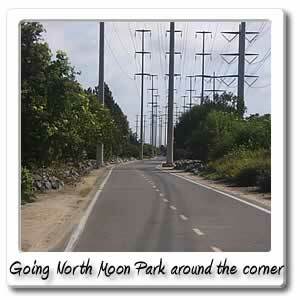 Right at the 405 freeway (which has no turn off) you'll find Moon Park. 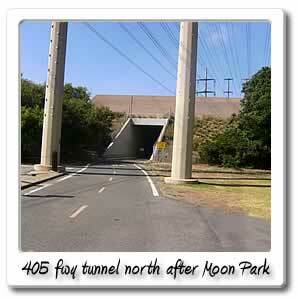 This is a good stop off for a quick break, just 1/2 mile from the Gisler Avenue entry/exit point. 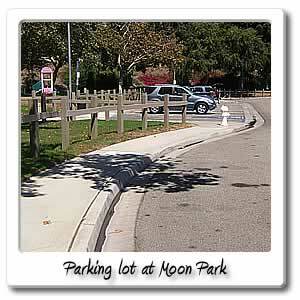 Moon Park is just 1.7 acres, and is located at 3377 California Street on the corner of Nevada Avenue, in the City of Costa Mesa. There aren't restrooms at this park, but there are three picnic tables and two playgrounds. 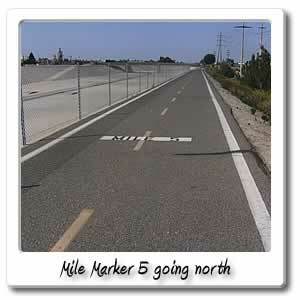 At this time you've riden for 23 minutes and for 4.7 miles, if you started at mile marker 0, at Huntington Beach at the end of the Santa Ana River. 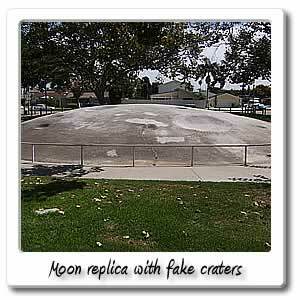 There is a 30 foot gray concrete dome, meant to look like craters on the moon's surfurce. 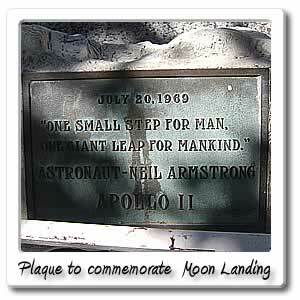 It's to commemorate the 1969 Apollo landing on the moon. There's also a water fountain at Moon Park. Next entry point is McArthur Boulevard just a little over .5 mile away, where you have choices for food and drink. 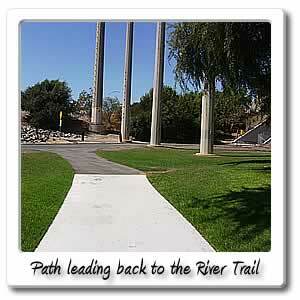 Right after the 405 freeway bridge, you'll see a little trail off to the right, when you're heading north. 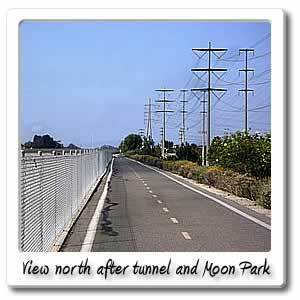 It will take you through a concrete trail next to a parking lot, and onto Sunflower Avenue, see that page for more information.